A native of Eurasia, cultivated and sometimes escaping to roadsides, ditches, fields, yards, and disturbed ground. First collected in 1883 in Ingham Co.
A form with yellowish corollas is known but most of our escapes seem to be the usual blue-violet. 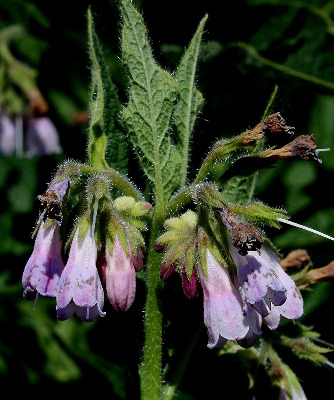 A white-flowered form was collected in 1992 (K. Dritz 1051, MOR) with the yellowish one along a ditch west of Coloma in Berrien Co.
MICHIGAN FLORA ONLINE. A. A. Reznicek, E. G. Voss, & B. S. Walters. February 2011. University of Michigan. Web. 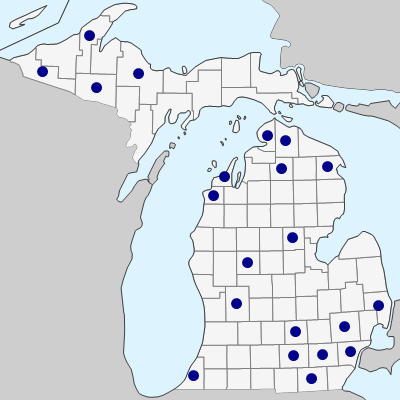 April 24, 2019. https://michiganflora.net/species.aspx?id=597.